Caffeine Earrings under a microscope! Never be without your caffeine fix again! High quality, stainless steel studs. 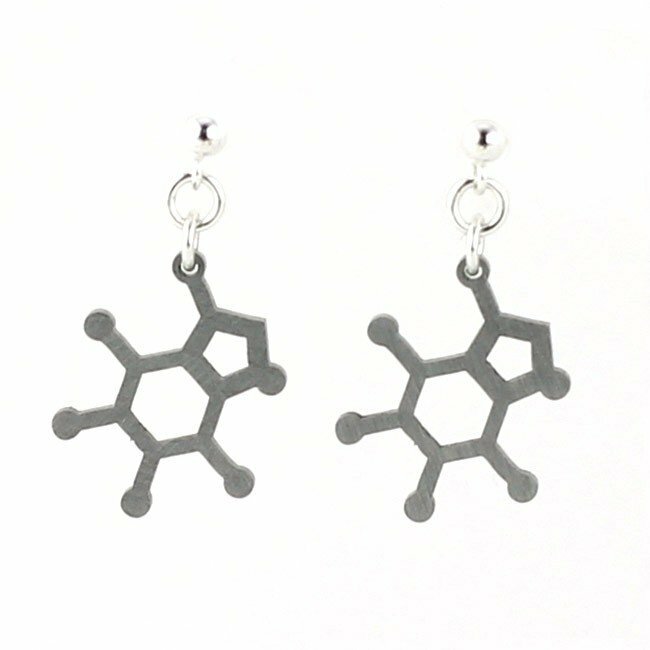 Based on the shape of the actual caffeine molecule! Makes a perfect gift for the student, teacher, gamer, night-owl, or coffee-lover.